372, 6, 29 pages 20 cm. Presented with an unexpected assignment, Alex Rider&apos;s greatest nemesis, Yassen Gregoravich, recalls his life and the path that led him to become an assassin while his one-time friend, Alex&apos;s uncle, became a spy. Reading Counts: Level 5.7 / 23.0 Points / 61645. 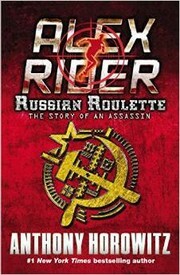 Alex Rider: Russian Roulette (#10) Anthony Horowitz. Accelerated Reader MG+ 5.4 15.0 163043. Reading Counts RC 5.7 23.0 61645.